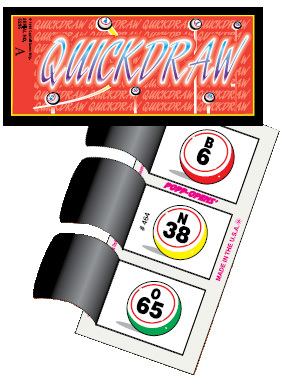 Quickdraw is a 3 number bingo ticket and the first player to get all 3 numbers wins! Each deal has 600 tickets packed in 4 individual, 150 ticket bundles (A, B, C, & D) that can be played alone or combined when more than 150 tickets are needed. 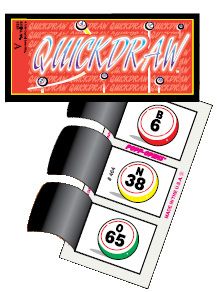 Quickdraw can be played by itself or along with a jackpot or special game. You’ll award an extra prize and make extra profits, plus offer a bonus prize if a player marks the 3 numbers on the first 3 calls (1 ticket in 67,525 tickets on average will win in the first 3 calls). Use one of the suggested payouts or create your own! Quickdraw is sure to be a hit with your players. What is a Bingo Event Game? What is a Cashboard Game?